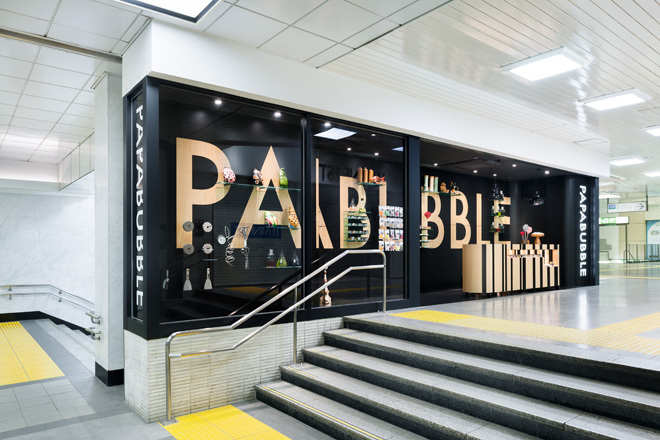 Tokyo-based Torafu Architects have recently completed the interior design for Papabubble, a Spanish candy artisan, which opened a small art-candy-store on a tiny 10m2 lot inside the concourse of the JR Shinjuku station. 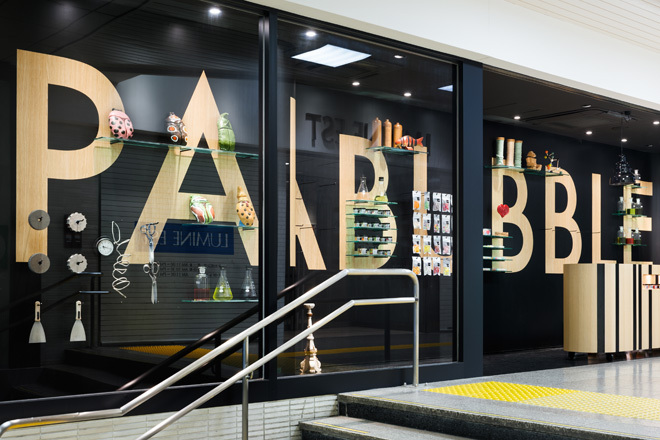 The inside of a station, with a high traffic volume, colorful signs and rows of stores lined up on a tiny strip of real estate, is a peculiar environment to create a store in, that would not only stand out, but also allow the brand image to be easily recognizable. 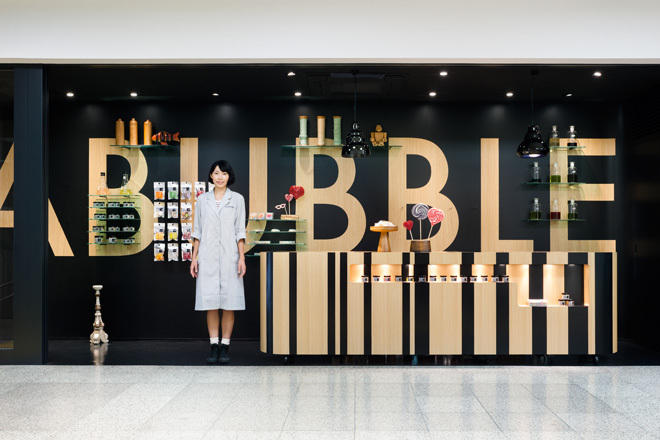 Using the lot’s lack of depth, Torafu Architects have used the whole store as one big signboard by applying a large logotype over the entire back wall. 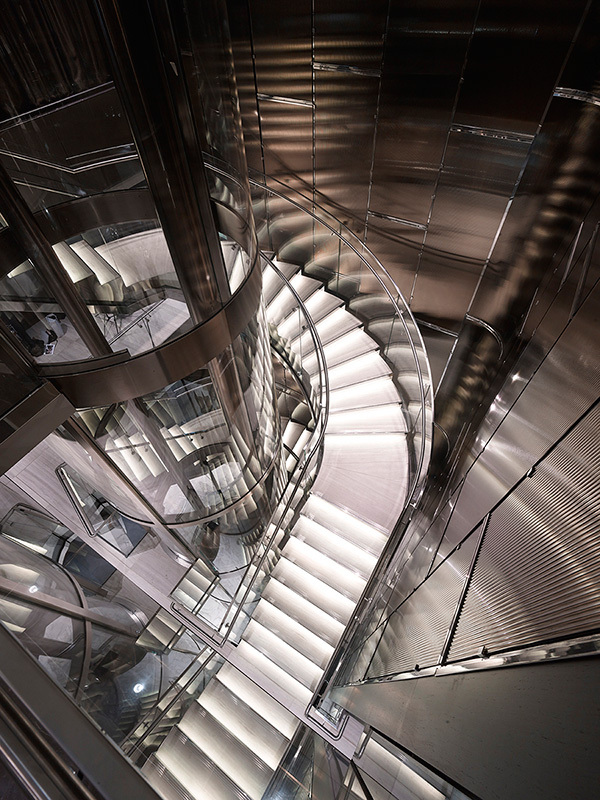 Furthermore, they sought to set the space apart and direct clients to the storefront located at a traffic line junction by contrasting the black flooring, walls and ceiling against the white-based environment surrounding the premises. 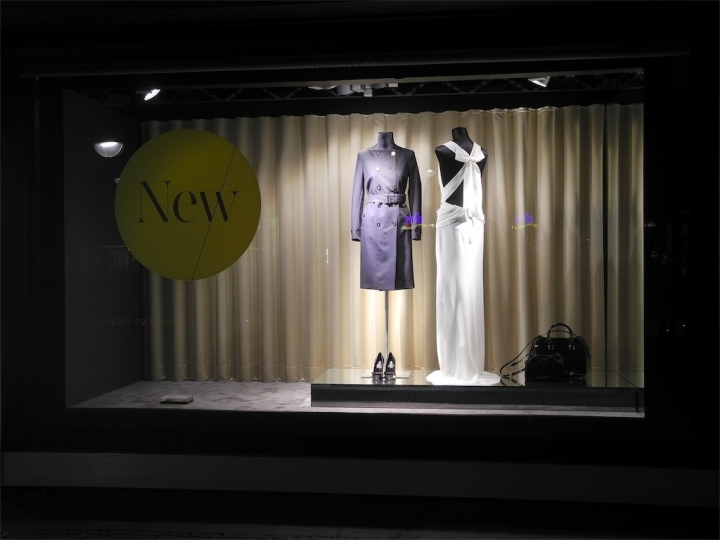 The wall serving as a wall-to-wall advertisement also functions as a merchandise display on which products are placed directly. 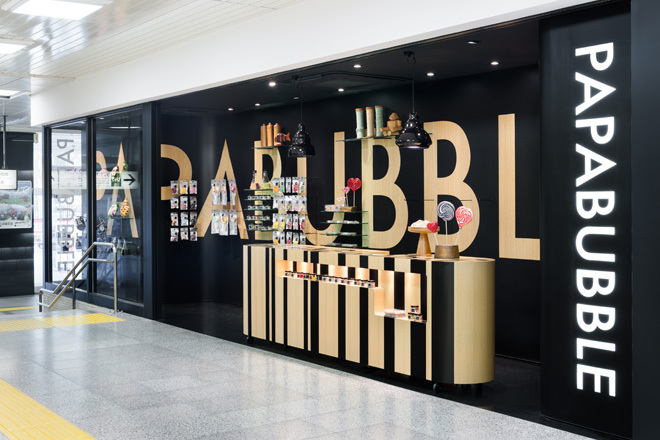 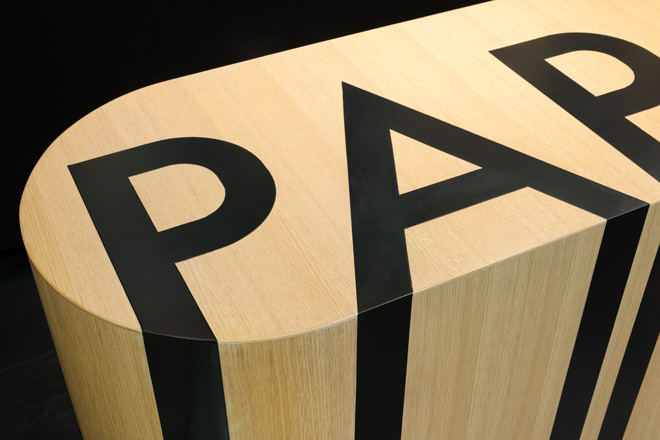 Moreover, the Papabubble logotype was inlaid into the checkout counter, taking the idea of a candy that reveals the same pattern no matter where it is cut. 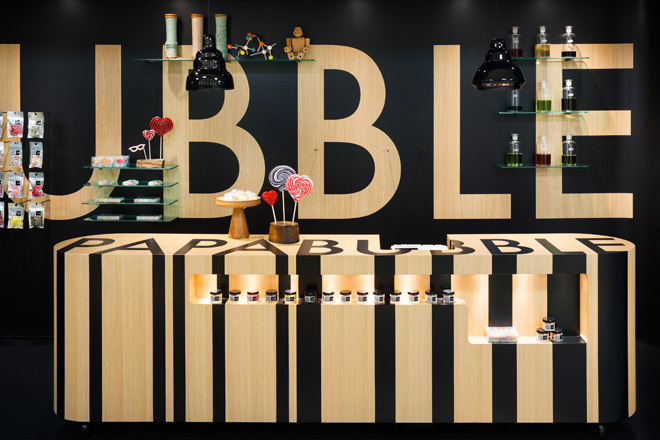 “By thoroughly applying a sense of depth onto the elevated plane borne from the peculiar specifications of the lot during the planning stage, sought to create a store serving simultaneously as a signboard and a display for merchandise” says the architects.